Phoenix area dog training and behavior modification. Hello and welcome to Modern Canine Services. We are glad you stopped by and want to be sure you find all of our wonderful dog-lovers resources. Here at Modern Canine Services, we are all about dogs and their owners. Our mission is to offer resources and services for both. We offer in-home dog training appointments in and around the Phoenix area, we have a blog, training videos and a dog-lover store. If you are here for dog training, check out our dog training menu, you can look at private In-home classes and learn about behavior modification. 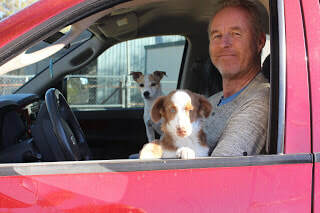 Visit our ﻿﻿YouTube Channel ﻿﻿for videos on puppy and adult dog training. Read our blog posts to find easy to do dog training exercises, as well as lots of other information, including dog treat recipes and product reviews. If you like to take your dog out for adventure, join us in our Facebook groups. You can learn about dog-friendly travel and share your own experiences with our growing community of dog loving travelers. For travel tips around the US, or internationally, come see us at Keep Your Paws on the Road. 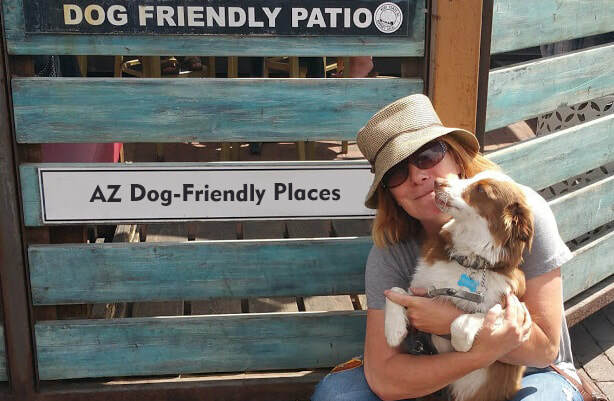 If you are looking for dog-friendly places in Arizona, join us at ﻿AZ dog-friendly places﻿, the best community to find and share fun places to take your dog. The best way to get your pet integrated into the family dynamics is to train you and your dog at your house. Each family is different and in-home training allows us to customize the sessions for best results. Start with basic obedience such as leash training, crate training and basic commands , work on behavior issues, such as jumping or darting out the door, or work on advanced off-leash. All training is geared toward voice control, we customize our classes, depending on your needs. Come and see our online training videos on our You Tube Channel. We recommend training tools, dog travel accessories and other dog related products. Our books are now available through Amazon!